also likely your skin is still crying out with the winter blues — dry, stressed- out, overheated and undernourished skin. 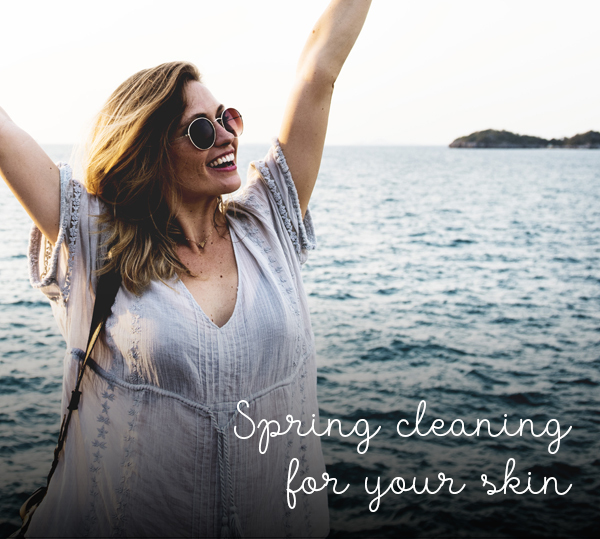 The Nirvana Beauty Babes can help you head into spring with your best face forward with our amazing promotions on skin treatments. Just like our bodies cannot function without food and water the same goes for our skin. A healthy diet and extra hydration is a skincare must. There is no such thing as a sensitive skin type. Sensitive skin is the result of a poor diet and dehydration and starving your skin of the nutrients it needs to maintain a healthy and radiant complexion. This is why it is essential to incorporate hyaluronic acid (HA) into our skincare routine. Almost half of the body’s HA is located in the collagen of skin and it is logical that HA plays a vital role here. Hyaluronic acid helps to retain over a 1000 times its weight in water within the cells of skin, which is excellent for maintaining hydration. In fact, no other biological substance can retain as much water as HA resulting in increased smoothness, softening and decreased wrinkles. Equally important is its ability to remove waste matter from cells including those where there is little blood circulation. Today, hyaluronic acid, often referred to as ‘the fountain of youth’, is considered equally important, if not more important, than Collagen. The most common application for hyaluronic acid is in anti-ageing therapy, particularly with cosmetic procedures to reduce skin imperfections and wrinkles. It’s no wonder we have had such wonderful feedback about our very own skincare product, Fabufeel Radiance Serum, the main wonder ingredient being hyaluronic acid. We see it minimising pores, reducing inflammation of the skin, strengthening the skin’s barrier (oxygenating) and improving skin’s moisture and hydration. Other benefits include softer, more youthful and radiant skin, antioxidant defence against free-radical damage and anti-ageing properties. Combine this magical serum with any one of our skin care treatments, such as Coolifting, Dermapen or Mesotherapy and show off your skin this Spring.